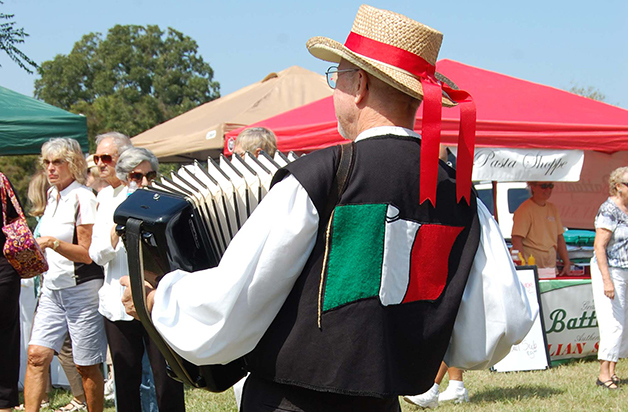 Join on the fun this Saturday, September 21st at the 4th annual Hilton Head Island Italian Heritage Festival at Shelter Cove Community Park. 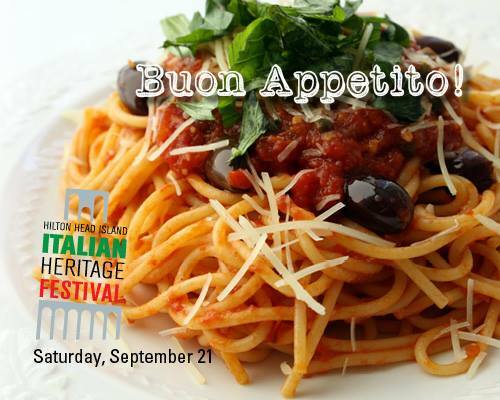 This year’s celebration will be bigger and better than ever – a robust celebration of Italian culture with food, live entertainment, a pasta-eating contest, grape stomping, cooking demos, a bocce ball tournament and more! 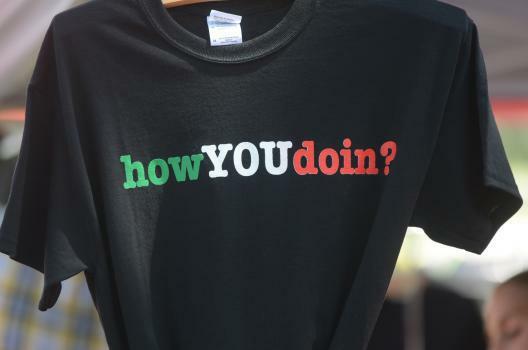 Peruse the booths with their variety of offerings, from traditional Italian foods, such as cheeses, breads, pasta, fish, meatballs, sausage and calzones, and delicious sweets, including Italian ice, gelato, biscotti and zeppolis – many sponsored by local restaurants. 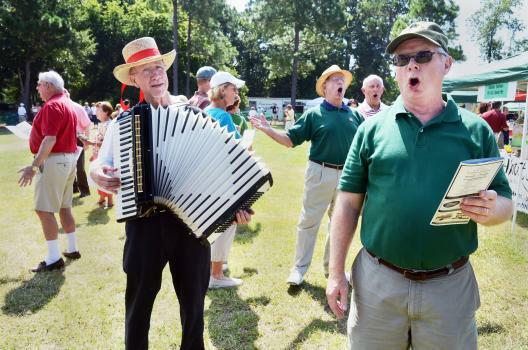 The festival will also feature a special events stage where attendees can enjoy a grape stomping contest, reminiscent of the iconic I Love Lucy episode, a pasta-eating contest, and a restaurant-only “best meatball” contest for island bragging rights. Other entertainment includes a number of unique cooking demonstrations form making the perfect pizzelle, to homemade sausage and fresh mozzarella and ricotta cheeses. 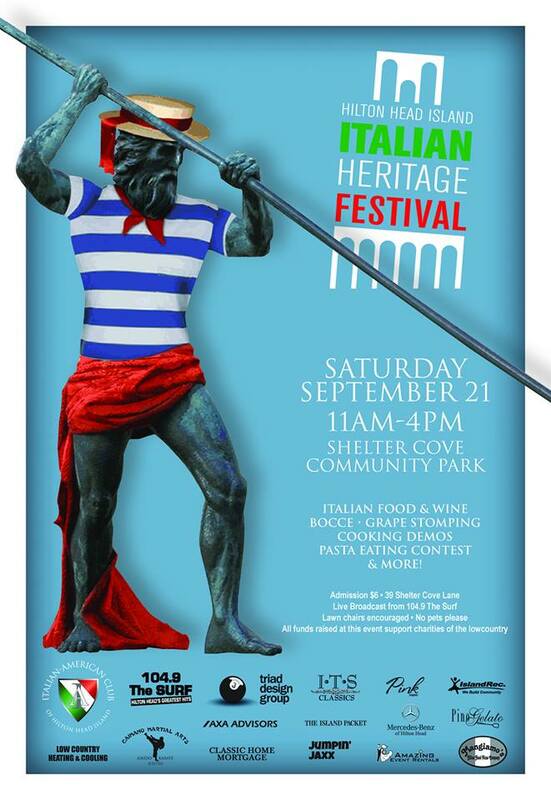 Join in on a game of bocce ball (one of Italy’s national pastimes) or play some stickball! Attendees can also test their strength on the High Striker (hammer & bell), as well as test their aim at the dunk tank. Whatever your Italian passion, we recommend you take home some of the freshly made zeppolis! Follow Us on Instagram! — Enjoy the Harvest Moon!